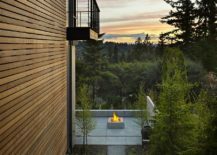 Design has always been inspired by nature, and a large part of that is because we ourselves are moved by its many shapes, hues and sights. 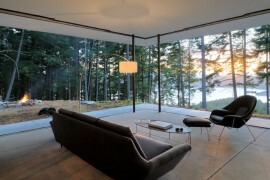 Connecting with nature has become a big part of contemporary architecture, with homeowners longing for serene escapes that take them away from hectic city life. 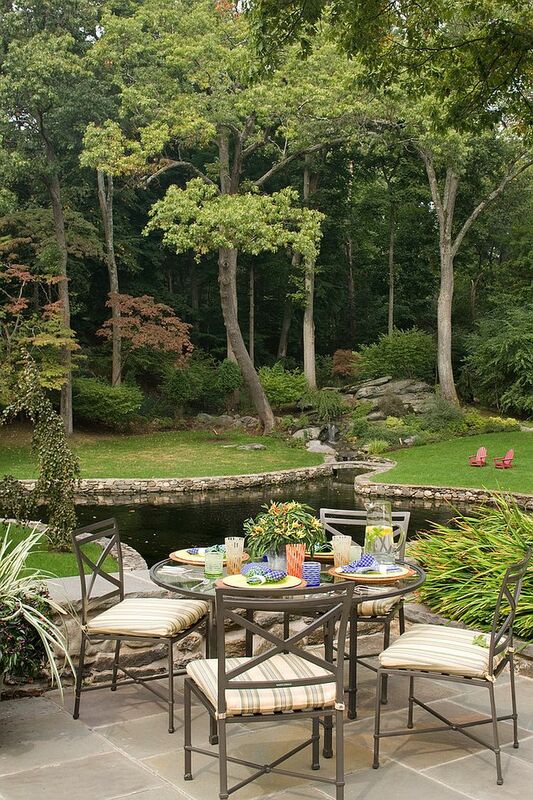 This at times could be a beautiful home in the suburban neighborhood that is sufficiently surrounded by greenery to give the impression of a secluded little oasis amidst all the chaos. 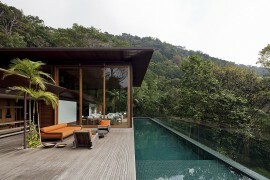 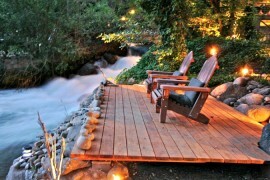 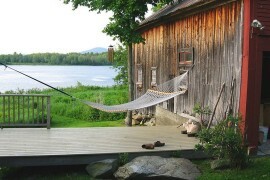 On other occasions, it could be a relaxing beach house or a smart residence that overlooks a river or lake. 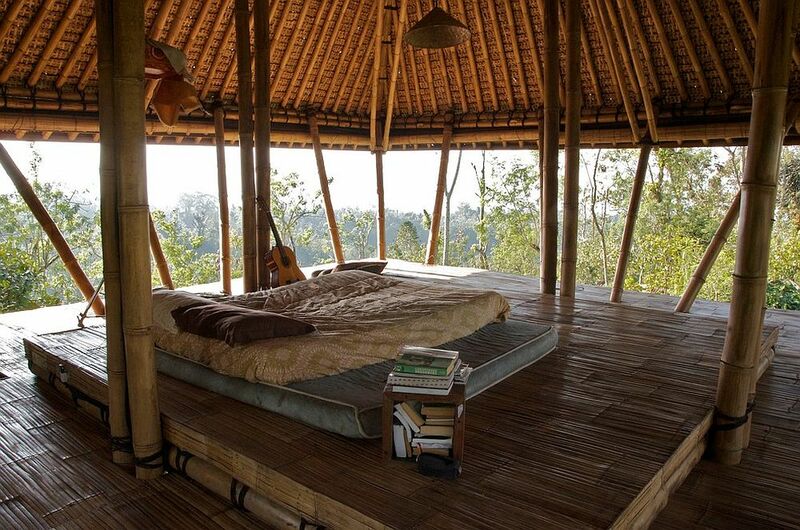 But today, we move into the mystic world of forests and woods! 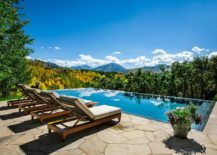 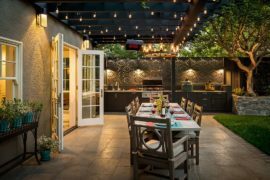 If you love the idea of a staycation instead of spending all that time and effort on planning for a vacation this holiday season, then an elegant poolscape and a relaxing backyard is an absolute must. 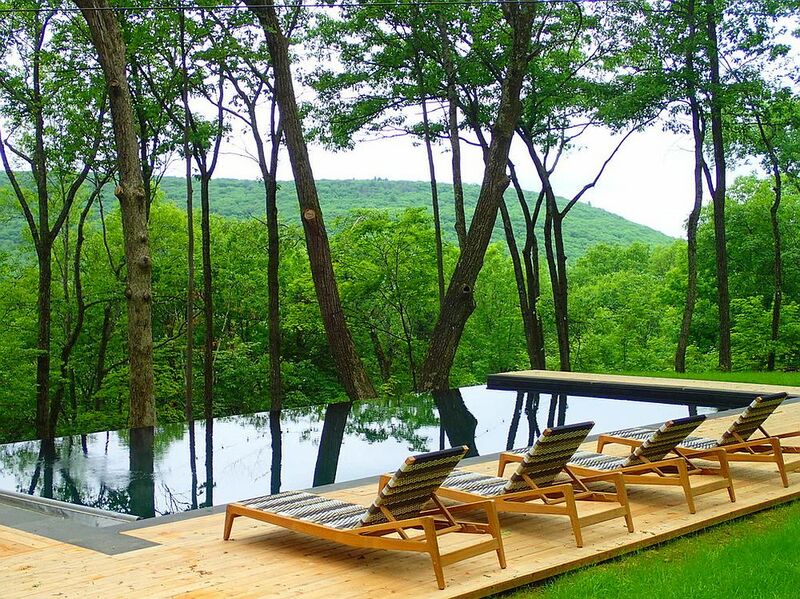 This setting becomes an even more enticing prospect when you add the image of a dense, green forest in the backdrop! 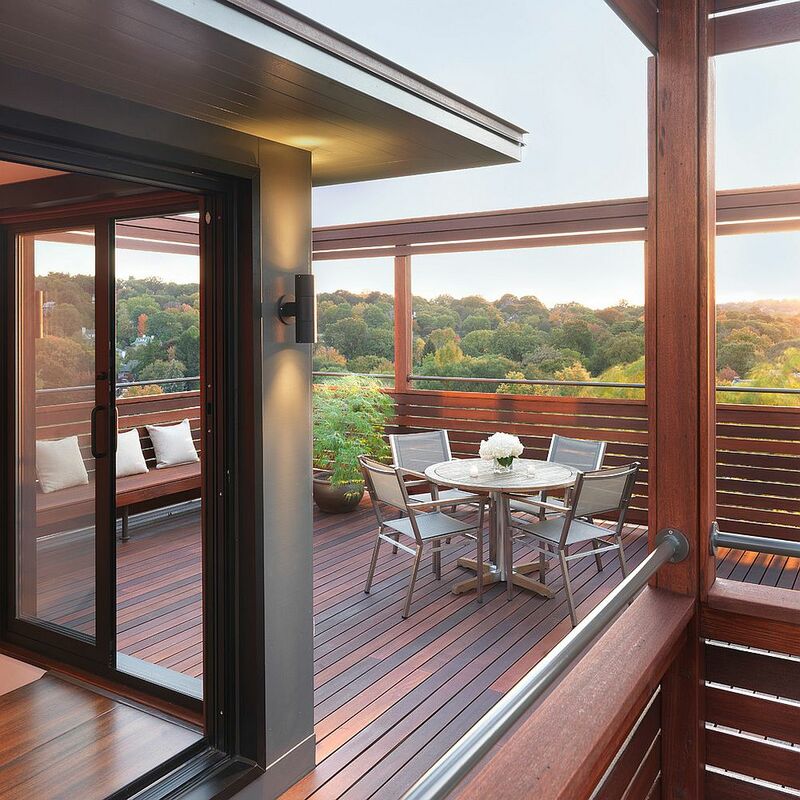 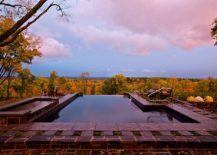 Not only does the forest canopy add vibrant color and set the tone for the curated landscape around the house, deck and pool, it also offers ample privacy as you spend your summer evenings and nights under the sky. 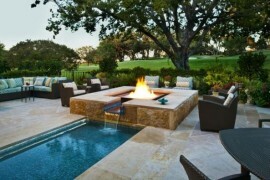 Combine the magic of a fireplace or fire pit with the pool, and your dream staycation setting is complete. 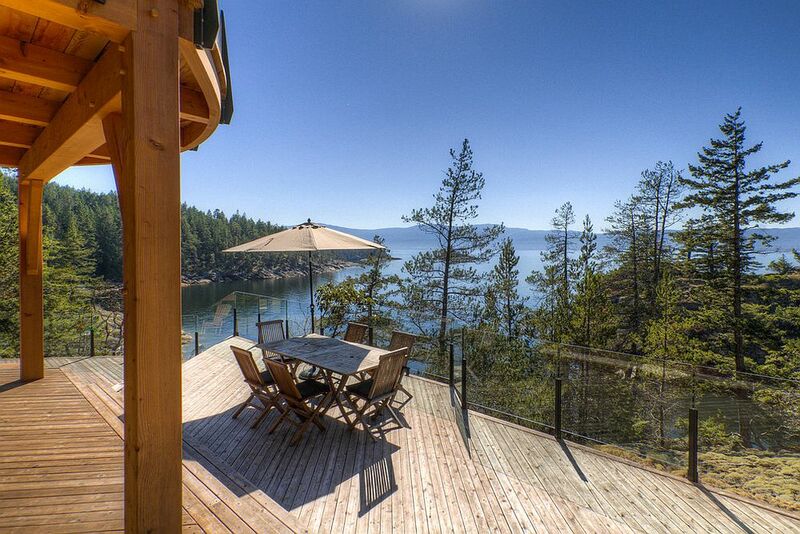 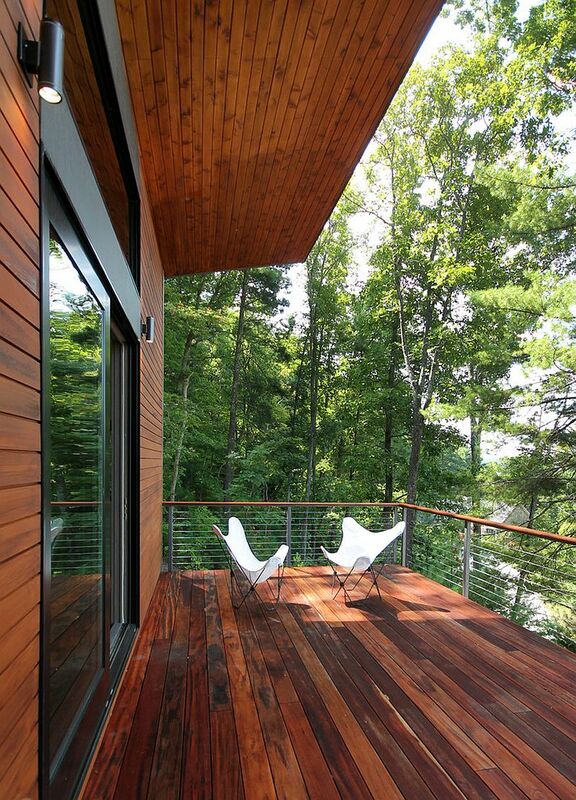 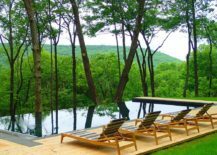 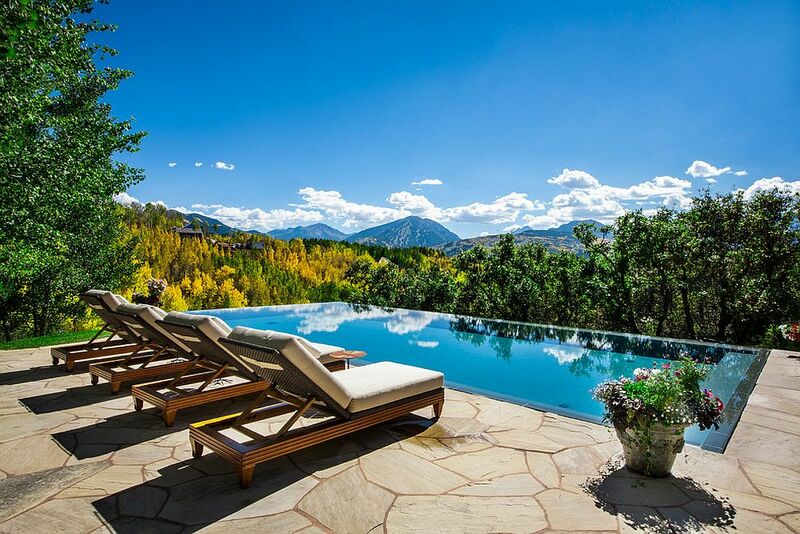 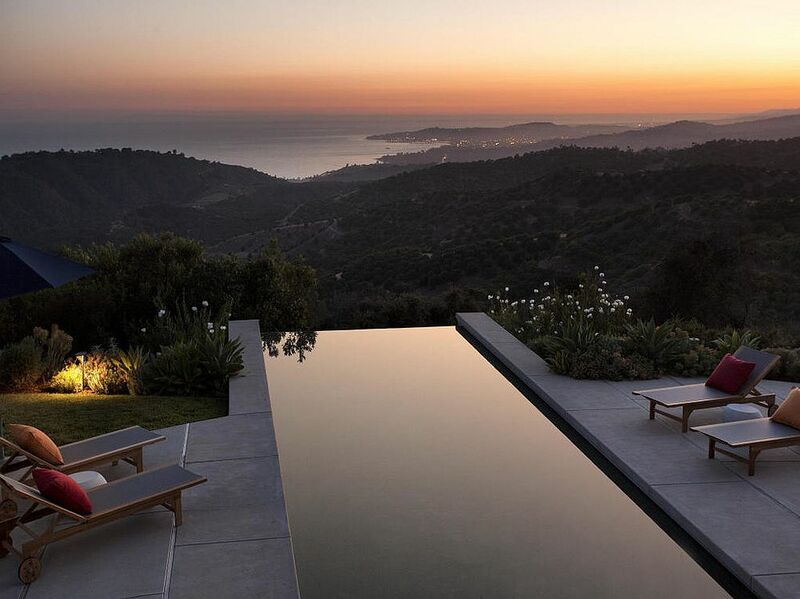 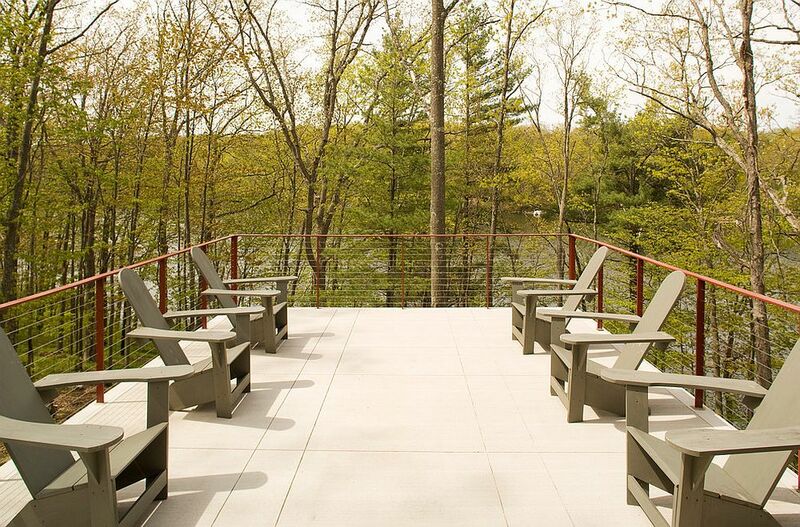 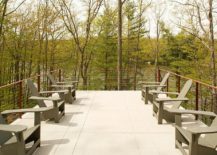 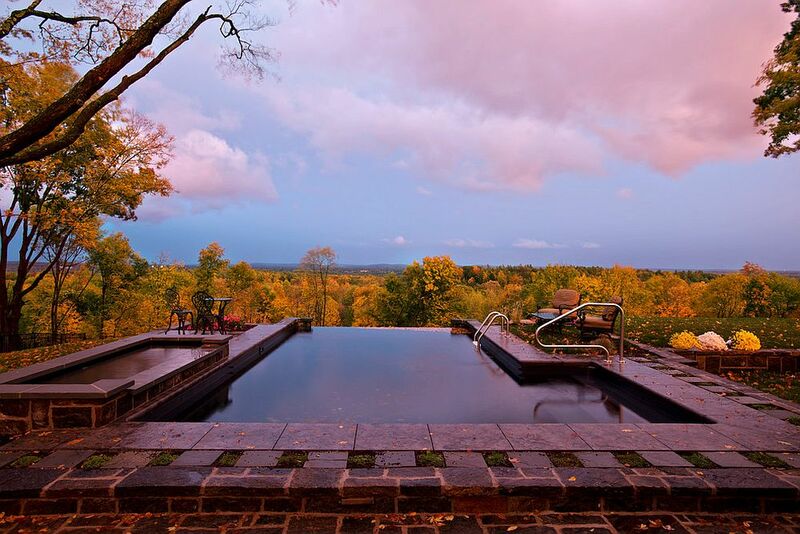 We move on from backyards and pools to contemporary decks that combine comfort, class and captivating forest views. 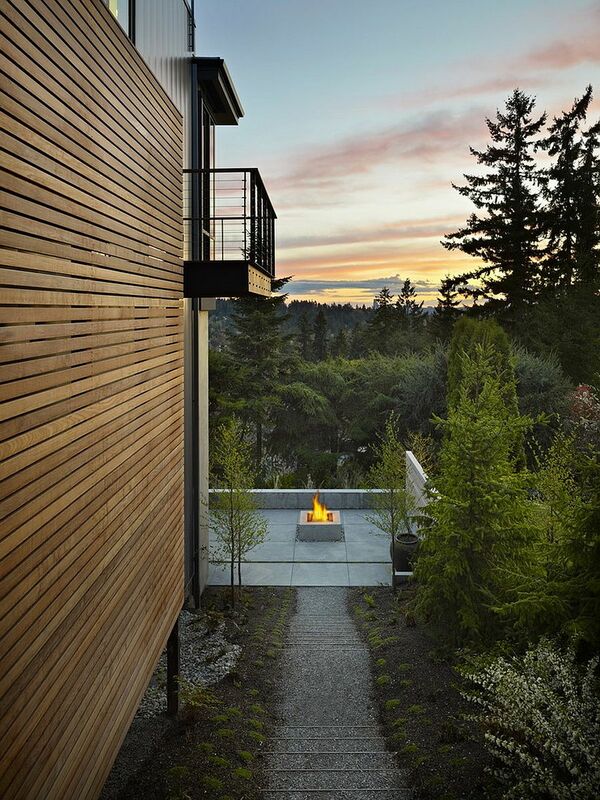 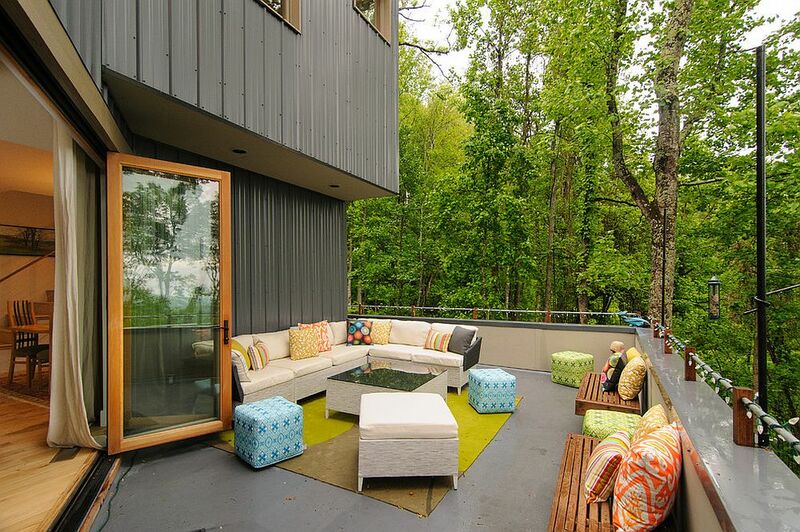 A contemporary deck is much more than just a place for the entire family to hang out. 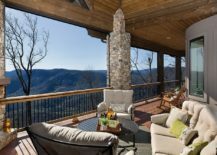 It can easily double as an outdoor dining area, party zone, and unique vantage point that lets you make the most of the exceptional views your home enjoys. 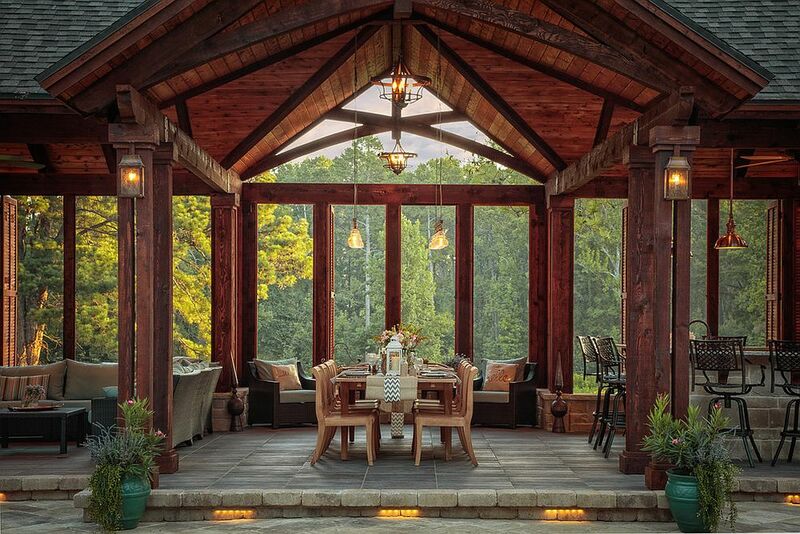 All you need here is comfy outdoor seating, maybe a dining table with some chairs, a fireplace for those willing to go the extra mile in terms of effort and costs, and of course, a dramatic view that caps it all off in style. 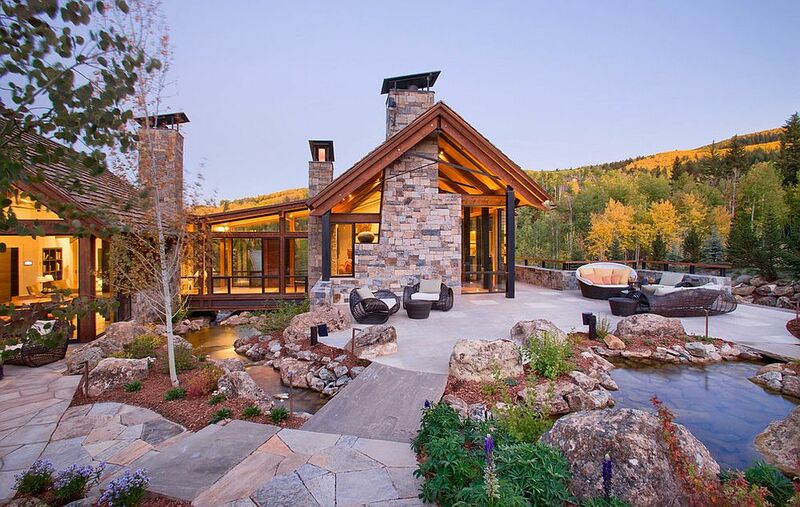 You simply cannot go wrong here! 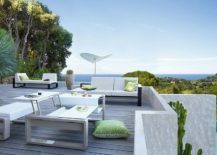 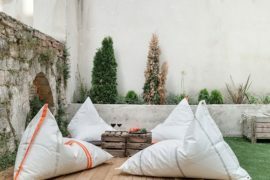 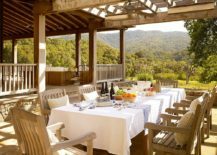 The outdoor hangout is not all about unfettered sunshine, and at times, you need a bit of protection in both the really hot summer months and cold winter days. 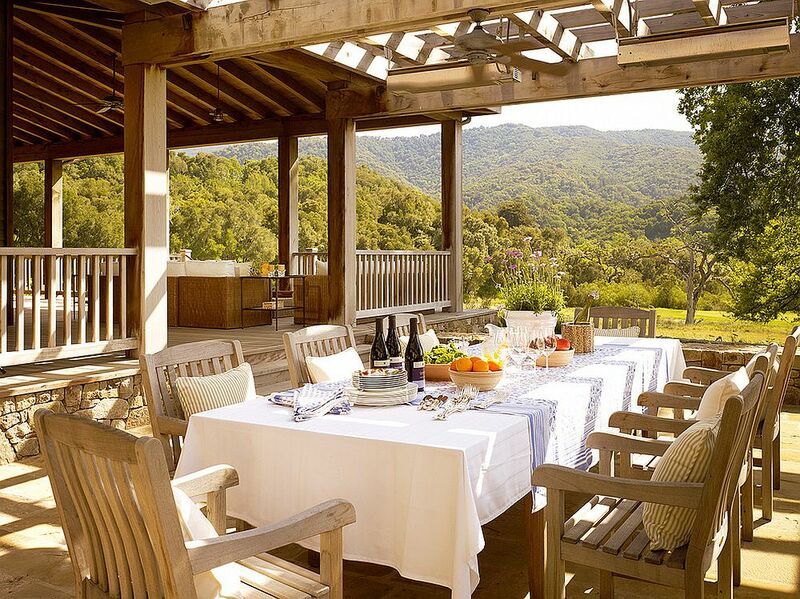 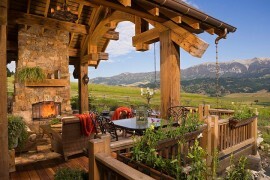 A pergola offers both without blocking that scenic forest view, and its light structure is also a cost-effective option. 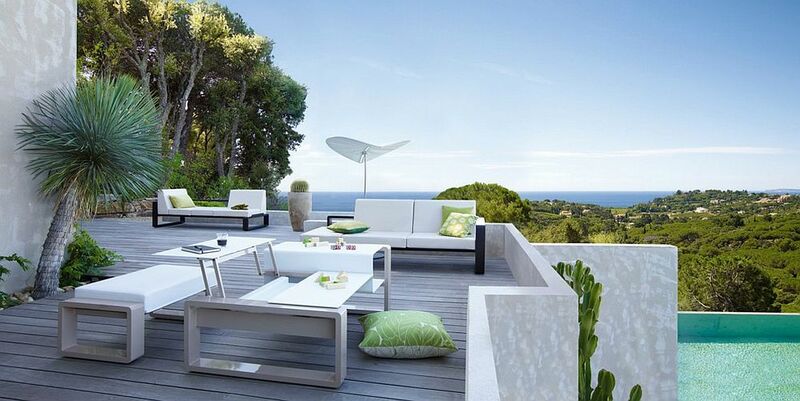 In the case of most modern homes, it is an extended roof structure that acts as a pergola and offers adequate shade. 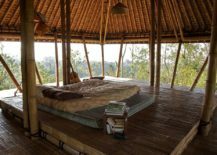 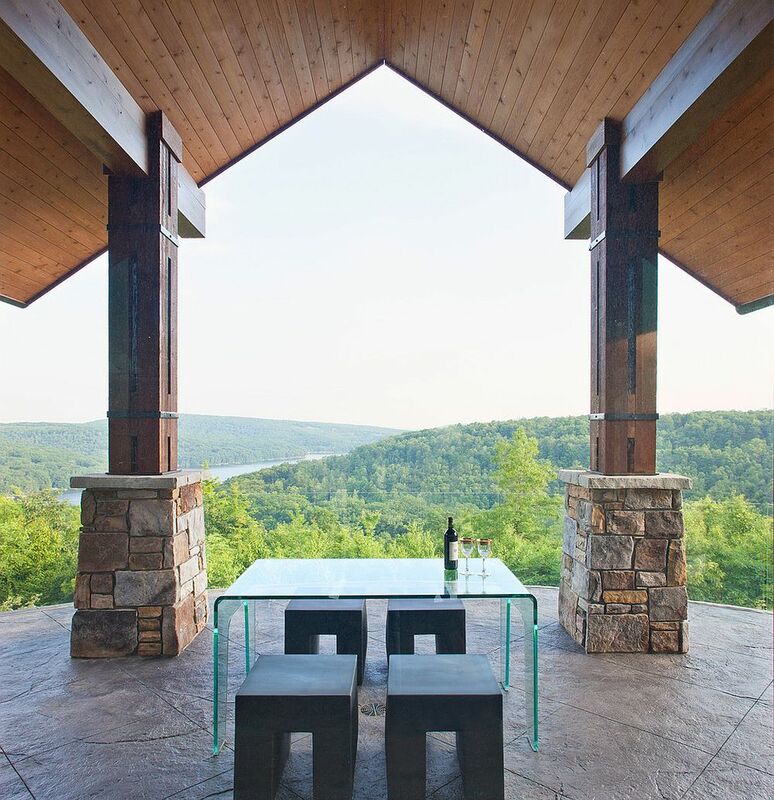 More elaborate standalone features like the gazebo demand far more resources, but could provide you with that additional elevation that makes the panoramic view on offer even more breathtaking. 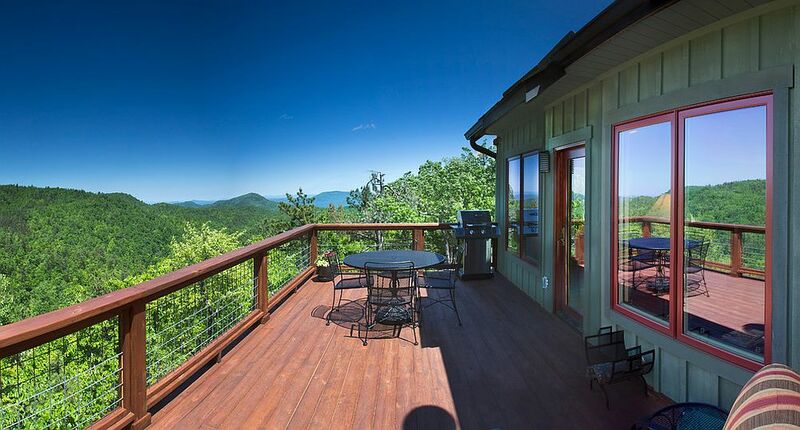 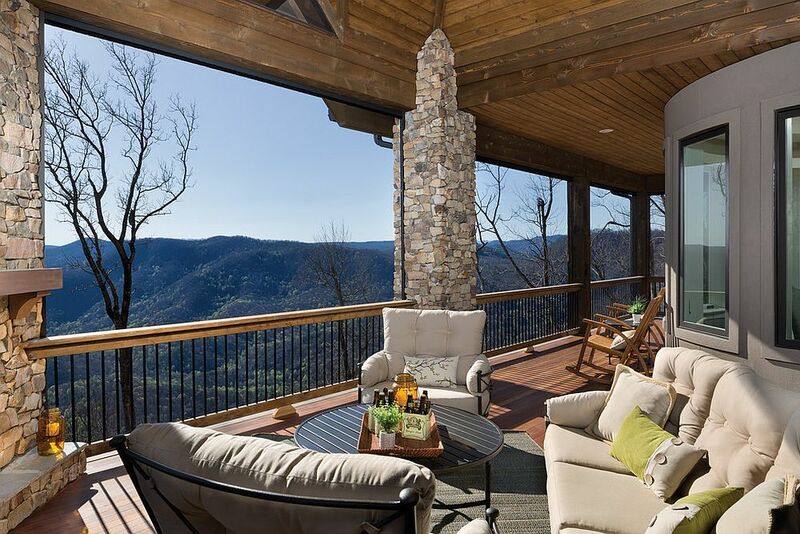 You do not always need an expansive deck when you have a grand forest and majestic mountains to lord upon just beyond the confines of your home! 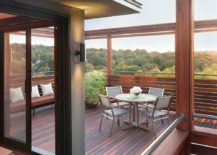 At times, a small and minimal deck is the best option, as it puts the focus firmly on what lies beyond. 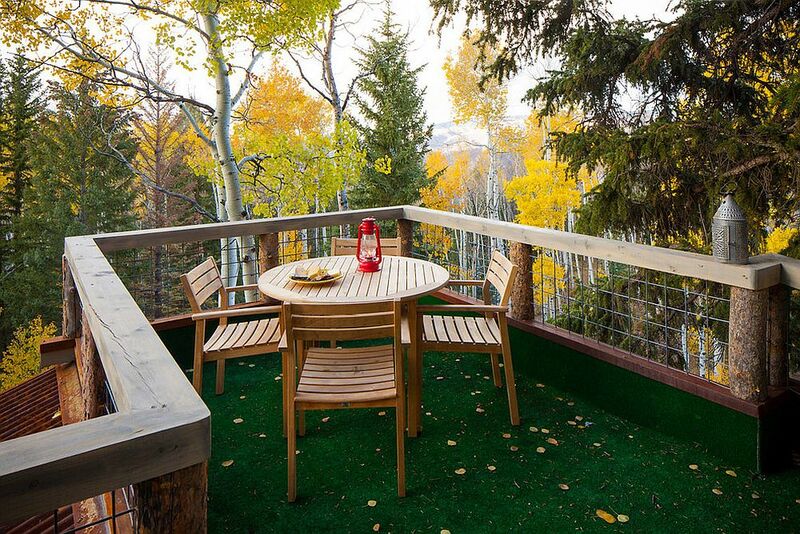 This not only highlights the forest view, but ensures that even the tiniest of decks makes a big impression by simply letting nature take over and do what it does best – leave you entranced! 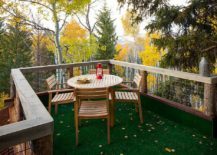 У нашей организации нужный веб сайт со статьями про https://yarema.ua.